Regarding luxury items and features in a home, the first and most basic issue is the existence of the pool, barbecue pit, or other similar upgrades. FHA loan rules do not forbid the purchase of a home with these features, but they must meet FHA standards where applicable. June 5, 2018 - What do FHA loan rules in HUD 4000.1 say about “luxury items” that a borrower may either want to have installed as part of an FHA mortgage transaction or existing features in the same category? 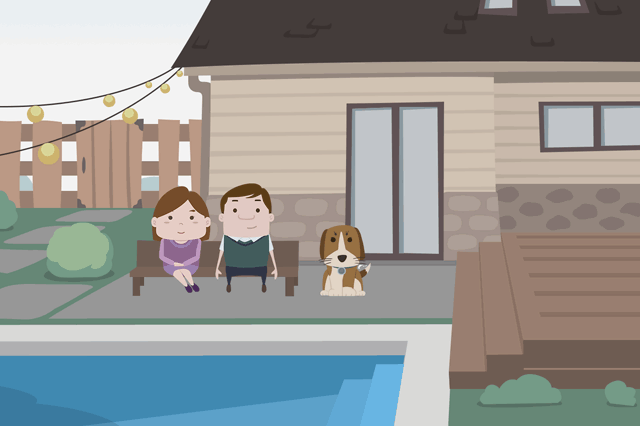 Do FHA loan rules permit the purchase of a property with a swimming pool,for example? What are the requirements for rehab loans or new purchase loans in this area? The first and most basic issue is the existence of the pool, barbecue pit, or other so-called luxury item. FHA loan rules do not forbid the purchase of a home with these features, but they must meet FHA standards where applicable. The most common of these standards is a requirement for existing swimming pools; HUD 4000.1 states, that the lender is required to make sure the pool complies with any local building code or other requirements. FHA loan rules do not include a list of these requirements as they will vary greatly depending on city, state, or other code requirements. Borrowers who aren’t sure what rules may apply in these circumstances should discuss their concerns with the loan officer. When it comes to adding or installing such luxury features as part of an FHA rehab or construction loan, the rules are quite different. For example, FHA rehab loans (the FHA 203(k) rehab mortgage for example) has strict rules on what features may be added or modified. So while a patio may seem to be less essential in the way a pool is not an essential item, HUD 4000.1 does make provisions for these additions when they increase the property value or protect against natural wear and tear. Borrowers should discuss their needs with a loan officer to see what may be possible in these areas depending on the nature of the items or improvements.